In the distant future, society makes a commitment to a more peaceful existence. Conformity is the rule, and any sign of obvious uniqueness is eliminated. 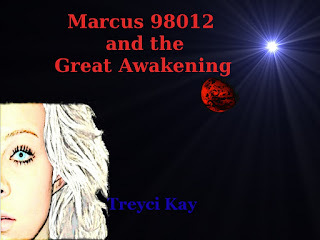 A teenager named Marcus 98012, begins to have recurrent dreams about the covered up history of the human race. His dreams bring him clear memories of fanciful creatures and things he has been told exist only in fairy tales. Still, the thoughts of imaginary concepts such as animals, technology and family seem as real as the school he has lived in his whole life. Marcus’s younger and loyal friend Andrew 98087, lives in the school with him. Although he pokes fun at Marcus for his strange dreams, he can’t help but think there is more to the institution than they’ve been told. There are unexplainable things all around them: the mysterious elders, the disappearances of students and the oddly different Leila 98001. The peaceful world that Marcus lives in quickly reveals itself to be far from perfection. With new dangers and surprises waiting for him around every corner, he soon discovers that nothing is what it seems. During Marcus’s search for the truth, he becomes a threat to the elders that run this orderly world and he must decide between trying to destroy the system or escaping it with his life. I always love reading a great Science Fiction book. Treyci Kay does a great job drawing in the reader, the more I read the more I wanted to uncover the mystery of the school and civilization Marcus and his friends live in! 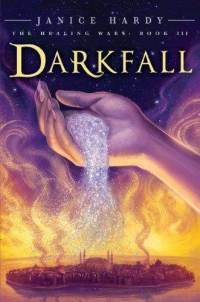 One thing about this book that I loved was that it was a blend of Science Fiction and Fantasy. This was done in a very creative way, and after finishing this book there are still many questions left unanswered. The characters were all very likeable, I was especially drawn towards the mysterious Celeste and her kin. The setting as well was very fun to read about, I wished I could have gone to the places with the characters to see some of the sights they did! The quick paced plot made for a very exciting read, and the twists the story took were very unexpected and enthralling. It was a very well written book and I am surprised that it is not more well known. I would recommend this book especially to fans of The Martian Chronicles, and The Hunger Games. 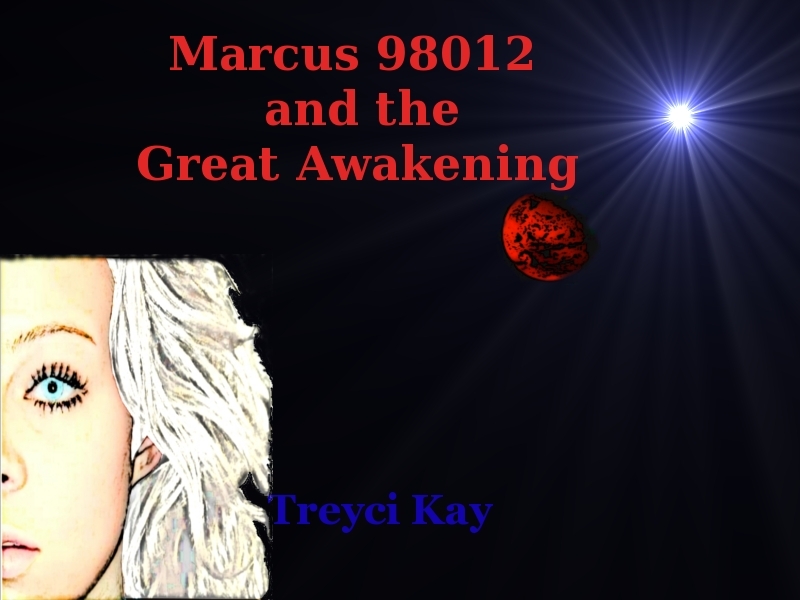 Overall, Marcus 98012 and the Great Awakening is an extremely fresh and original novel and I will be anxiously waiting for the next installment! An inspirational quote to start your week! What this turtle's thinking: Why howl at the moon if I can fly there? A. I am thankful for the whole book blogosphere in general! Especially all the bloggers who have helped me learn all the different events and tricks that go on in the book blogging world. I'm also thankful for the wonderful authors who I have been in contact with, because of them I have found out about so many new and awesome books! I have a giveaway going on that closes tomorrow at midnight the link for it is HERE. 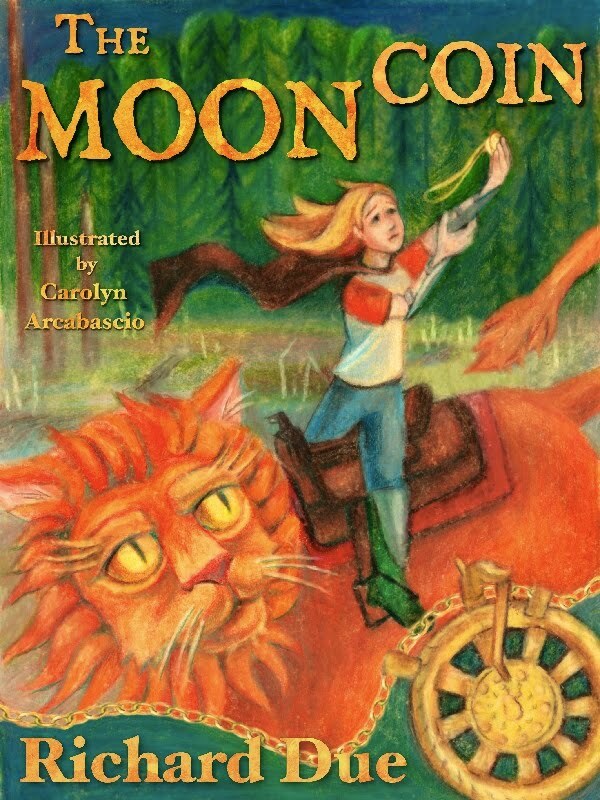 I am excited to announce that I am hosting a giveaway of Ties to the Blood Moon! HOW TO ENTER: Leave a comment with your email and name/alias and a winner will be selected in 1 week (November 25th) and contacted. For extra points, either follow this blog or Robin Waldrop's Blog, if you already are a follower-that counts! In the comment also tell me which blog(s) you follow and you will get 1 extra point per follow. 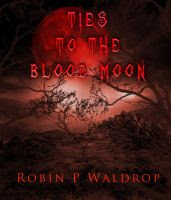 I am very excited to introduce Robin Waldrop, author of Ties to the Blood Moon, who graciously agreed to do an interview with me! Robin hails from Miami, but lives in Alabama with best friend, business partner, and husband John. She is a mother of five, grandmother of six and 7/8, and owner of a variety of different animals. When she’s not working at her business with her husband she’s found chained to her computer where she likes to play with all her imaginary friends. She is an award winning author who enjoys writing edgy YA/Urban Fantasy, and FBI suspense/thriller novels and has won two editors choice awards . Always a voracious reader with an unapologetic television addiction, Robin still searches for the perfect cup of coffee. Q. What was your inspiration for Ties To The Blood Moon? A. It started out as one of those dreams that stick with you for days after you have it and it just kind of grew from there. A. Stephen King. I love his twisted imagination and his writing style. 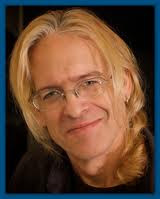 He dares to write whatever he wants, not caring if the reader likes it or not, and I think it’s partially because of that he has been such a huge success. Q. Are you a Plotter or a Pantster? A. I am definitely a panster. I tried to plot, but ended up with a big blank page. If I just sit down and start writing the words automatically start to flow. Q. Which character in this book did you enjoy writing the most? A. That’s a hard one to answer because I love them all, but if I had to pick just one, of course it would be Genevieve. She’s funny, emotional, and tough all rolled into one. A. At least three, but you never know. Like I said, I LOVE these characters so much, it’s really going to be hard to say good-bye. A. Having the opportunity to create different characters and then sitting back and watching as they take form, growing into these wonderful people that I fall in love with. A. Knowing that eventually I’ll have to say good-bye to some of my more favorite characters. Like Genevieve and William, I’ve grown so close to them and yet I know that after just a few more books it will be time to let them go. Sort of like letting your teens go after high school. Honestly, that’s how I already feel about them. A. The same advice that an author friend once gave to me. IF YOU BELIEVE IN WHAT YOU’RE DOING, NEVER STOP. Regardless of how many doors get slammed in your face, you can never stop doing what you love. Whether it be writing, singing, dancing, or whatever. As long as you keep trying, one day you will succeed. 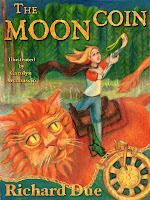 I really liked reading Ties to the Blood Moon. I greatly enjoyed Robin Waldrop’s spin on the werewolf/vampire myths, all the creatures had a detailed history, and I love backstory in books. The settings are beautiful and very well written, I love Alaska and New Mexico, but I haven’t read many books in those locations, so that was a treat. I loved the interactions with Luna and her brothers, and the multiple minor characters that all have distinct personalities. Also, this book had one of those Oh-My-God-that’s-so-awesome! Moments for me. In the book there is mention of a small Alaskan town called Tok, which I have actually been to and remember very well for their amazing BBQ ribs, so that was cool! What I didn’t enjoy so much from this book was that there was so much information going on at once that it was a bit confusing to keep track of it at times. Also, the main character, Genevieve, though coping with many traumas, it felt as if she cried every other chapter which got a little annoying after a while. That being said it was a fun exciting read, with a killer plot twist at the end that I totally didn’t see coming. I will definitely be continuing on with the series to find out what happens next. I would recommend this book especially to lovers of urban fantasy and of the werewolf/vampire myths. Share book reviews and ratings with Larissa, and even join a book club on Goodreads. Any of these would be nice! There is a giveaway of Inheritance going on at Read Breathe Relax right now! Thank you so much to Richard Due for putting together this guest post! You guys should keep your eyes open for a review of his book and an interview with Richard Due soon! Today I am welcoming Larissa Hinton (Yeah, we have the same name, how awesome is that?) On my blog. I reviewed her book, Everblossom, and she was kind enough to allow me to interview her. When Larissa Hinton first emailed asking me to review Everblossom the description intrigued me immediately. I was really fond of the supernatural elements of many of the short stories and the vignette-esque style they were written in. The brevity of the passages makes it an extremely quick read. The deliberate arrangements of the words of the poems were compelling as well. Whenever I read free verse, seeing the way the words are spread out on the page and the rhythm their position evokes can be as potent as the word choice. I really enjoyed this anthology for its uniqueness and honesty. Each section makes you think, whether the writer addresses a topic directly or uses fantasy as a vessel. Reviewing poetry is difficult for me because in my mind there are no “bad” poems. You can disagree with poems or hate them even (neither of which was true for me in this book) but as long as the author is speaking their truth and being honest in their writing, I do not think there can be “bad” poetry. With the short stories though, there were a few typos and tense inconsistencies that were a bit distracting. They were not enough to decrease my enjoyment of the anthology however. I would recommend fans of anthologies, poetry and short stories, fantasy, and fans of Larissa Hinton’s, should definitely check it out! I wouldn’t recommend it to anyone under the age of 13 though, since there are some themes that are best for slightly older readers. Now that's a tough question! I have to say, lately, that I have fallen in love with Andrea Cremer. I love the way she has recreated the werewolf myth and how she merged it with the vampire myth. It makes total since and I can't wait to read her next book, Blood Rose. Q. What/Who has the biggest impact on your writing? The biggest impact on my writing was my personal life. An event changed my life and my writing forever. When I wrote Angel Diaries, it was a completely different story then I normally wrote. It was dark, dreary, and something that was just so authentically me. And I loved it and so did my beta readers. They ate it up and I knew I had a bestseller on my hands. I actually got a trad pub contract on it, but I refused since they were not open for negotiations among some other reasons. But from then on, I knew I had it in me to write incredible stories and I haven't stopped writing since. Oh, and one of the poems, In Death You Speak, it was inspired by boredom in class. I was sitting in one of the English Literature classes listening to them drone on and on about something, so I wrote a poem instead of listening. ☺ I know. I'm horrible. A-soon-to-be English teacher not paying attention in an English classroom? Shocker. The next book I'm currently editing that you should look for is Iwishacana/Acanawishi. Anissa is constantly on the run from the police and can't seem to stay out of trouble. Until Anissa hides Florence in her bedroom and her mother finds out. There's only one thing left to do: Send her to Juvenile Cop Camp to erase all of her crimes on her record. There's only one problem: Anissa is innocent. I am hoping to have this book released before Christmas. So be for the look for it! In the mean time, you can check out the history of this lovely wishland in Everblossom! Q. Are you a plotter or a panster? I have to say I'm a plotter. I like to plan everything in the book before I set off and write it. And usually, for me, this takes years to do. It took me a year to plot out Angel Diaries and at the very last minute I changed the ending. Which doesn't happen very often. I knew the ending for Everblossom: A Short Story and Poetry Anthology. As soon as I wrote it, I knew it felt right to have that as the ending story and I knew the right poem to match the overall tone of the story. I added an extra ending to Iwishacana/Acanawishi because it felt right to add that after I changed the plot in the series, therefore, I had to make it reconnect to the other books. Anyway, for the most part, I like to have the basics plotted out in my story and make up the rest on my own. I let the characters tell me what to write next and how it should play out. Q. What is the most difficult thing about being a writer? The hard part about writing is putting your idea on paper and making it come across right. Especially for a novel. It's a long journey from the first page until the last and to make sure it's projecting the idea from cover to cover from word to word is the most difficult part. As a writer, you have to be consistent, persistent, and have excellent time management to be able to complete a novel with style, grace and be sane. Seriously. Ask some writers if they haven't pulled their hair out over a story that just wouldn't translate from their brain onto the paper right. Ah, the makings of a novel. I know for me, the most rewarding thing about being a writer is getting back reviews from people who have bought and loved your book. And understood your ideas! I was really wondering about the poems I wrote called WSV (Words Speak Volumes). For the longest time I debated about publishing them in the first place since all they were was words written down a page telling a story in an odd way. I thought that maybe people just wouldn't get it. It warmed my heart that not only did people understand my poems, they loved them! I couldn't be more thrilled since my poems have never been out to see daylight (yes, I get the Emily Dickinson irony there)! Therefore, I'm always glad to receive somewhat of fan mail on how my writing has made people think in a whole new way once they read Everblossom: A Short Story and Poetry Anthology. Q: In light of 11.11.11 and Veteran’s Day tell us about your favorite solider and how he or she is saving the world. Fictional or real life. A. Wow, that's a hard one, there are so many people and characters that do good in the world it is impossible to choose one. I guess I'll just have to do a broad statement and say that anyone who is willing to sacrifice so much to protect the people and values they love is a real hero in my book. I will do my best to keep this spoiler free, so don’t worry if you haven’t read it yet. Ah, the bittersweetness of ending a fantastic series. The final installment did not disappoint, and it had all the aspects of the other books that I enjoyed so well. There is the strong heroine first of all, and the well developed minor characters, the unique setting – I absolutely love the idea of a fantasy set in a tropical environment, and the whole moral aspect of the book where the Nya has to constantly make choices about how she should and should not use her unique powers. I will say, that if you haven’t read the other books The Shifter and Blue Fire first, you should. The author goes back to re-explain some things, but I think someone who doesn’t already know the story would be very lost. I loved the different twists and turns the plot had in the book, it was exciting and engaging, but didn’t feel forced, which is something that I’ve run into lately. The great thing about this book is that it can be compared to other YA novels that are out there, but Janice Hardy always puts her own spin on things. Because, yes, Nya could be compared to Katniss very easily, and Tali to Prim, but they really are unique and altogether different though they share certain similarities (that wasn’t a spoiler by the way, those similarities could be gleaned from previous books as well). Plus, I like reading characters that in some ways resemble each other and see how different authors approach things – which segues me to my next topic: Danello. What a breath of fresh air he is. After all the dark, mysterious, self-loathing, disturbed, picture perfect Abercrombie model love interests that have popped up on the YA scene lately, I can not tell you how great it is to have a down-to-earth, steady eddy fictional boy-friend for once. Not that I hate ALL characters who fit the former description, I do have my exceptions *cough* Jace *cough* I’m just saying it gets old after a while and it’s nice to have variety. In conclusion, this series is great if you haven’t read it I highly recommend that you do. Yes, I can hear your groaning as you look and the looming mountain on your bedstand/GoodReads account that is your TBR pile, but seriously, it’s worth it. Lea at LC's Adventures in Libraryland has reached 1000 followers! Big Congrats! As a thank you she is currently hosting a HUGE giveaway over at her blog, so you should definitely go check it out. Above are two of my pooches posing with my Kindle, and a picture of yours truly in the secondish grade. I was a book worm even then, I think that may have been the year I read Black Beauty - or maybe it was the third grade- to be honest I don't really remember lol!